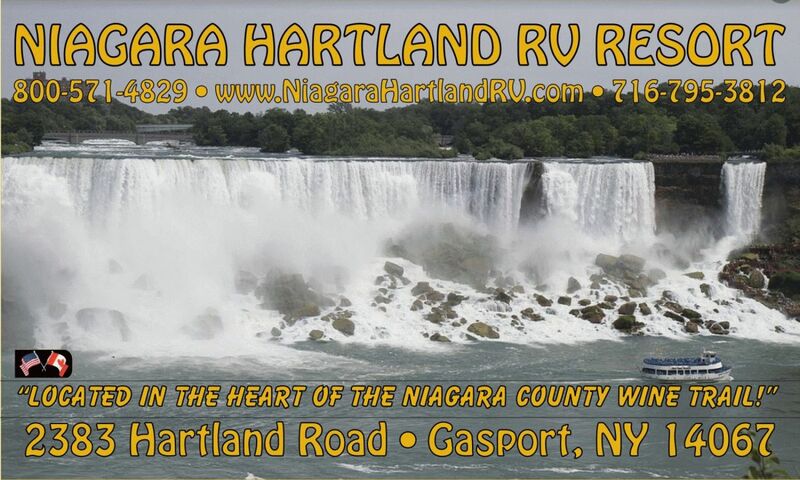 Welcome to Niagara Hartland RV Resort. Our campground has been family owned and operated since 1985. Come join us in the peaceful tranquility of Gasport New York. Located midway between Rochester and Buffalo/Niagara Falls, we offer the ideal location to camp as well as travel to many nearby tourist/shopping areas. 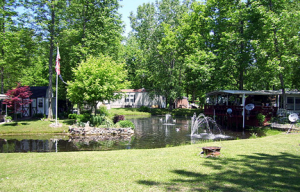 On site we have a swimming area, fishing, and kayaks on our eight acre Lake Charles. We also have a playground for the children as well as many walking and bike paths around the camp. Our campground has been family owned and operated since 1985. Come join us in the peaceful tranquility of Gasport New York. 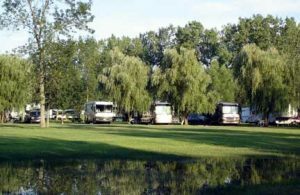 Located midway between Rochester and Buffalo/Niagara Falls, we offer the ideal location to camp as well as travel to many nearby tourist/shopping areas. In addition to the local attractions we have many activities to keep you and your family occupied. On site we have a swimming area, fishing, and paddle boating on our eight acre Lake Charles. We also have a playground for the children as well as many walking and bike paths around the camp. Sites have picnic tables and fire rings. Copyright © 2018 Niagara Hartland RV. All Rights Reserved.